Next week sees the publication of the much anticipated DC Universe: Rebirth #1 by Geoff Johns and friends. 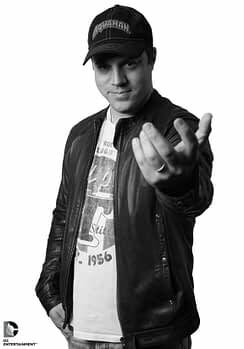 It will also be the last comic Geoff Johns writes for some time. He has no title lined up for DC Rebirth, and that included what some may have expected of a Justice Society of America title. His new position, in the running for some time, heading up DC Films will take up so much of his schedule, it seems. There was a time when Geoff was restricted by DC President Diane Nelson to write only two books a month, with editors ordered not to give him any more, for fears it distracted from his position. Now it seems he is taking a break on his own accord. He’s still CCO of DC Entertainment of course. His imprint will be left in many titles and he has been heavily involved individually in the DC Rebirth titles. Just don’t expect to see a writer credit for him in the comics after this coming Wednesday…. Civil War II #3 – Who Will Fall? And An All-Newer All-Differenter Marvel In The Autumn?